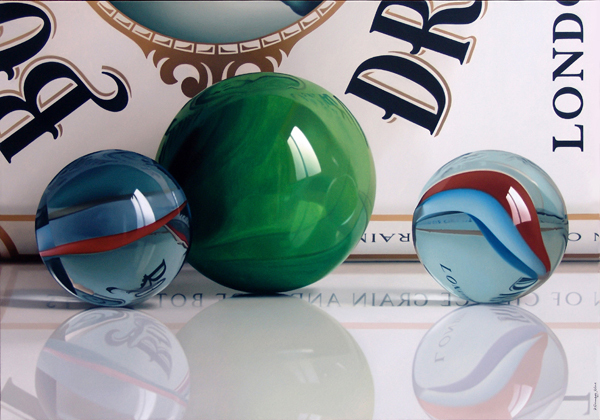 Let’s open up this new space to analyze some common features about a lot of Hyperrealist paintings. Let’s talk about the most used theme of “still life“. 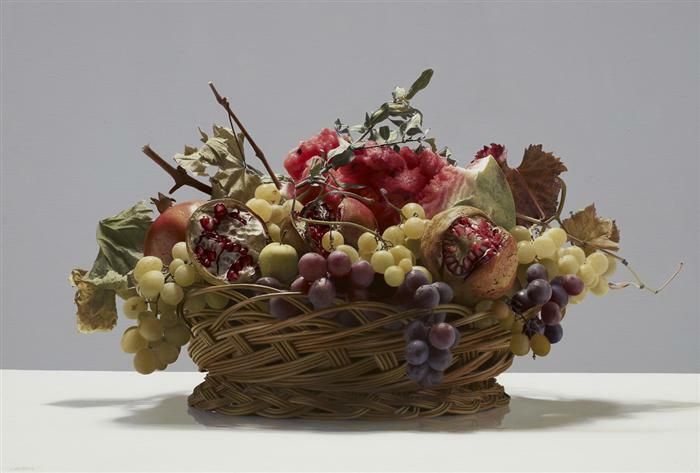 Caravaggio, the hyperrealist forerunner, gave a new sense of reality in his most famous “Basket of Fruit”, where, we know, the fruit isn’t perfect and unnatural, but he portaited it with all its defects. But today, there’s a new interpretation of still life, artists portray something not natural but always present in our life. 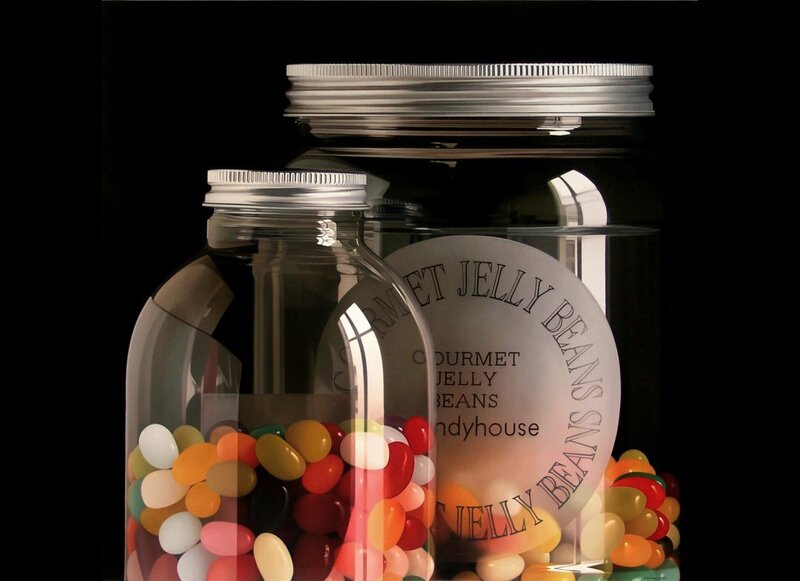 Pedro Campos is the perfect example of this new type of still life, where he paints Coca Cola cans, glass jars, candies, cups and plastic bags. 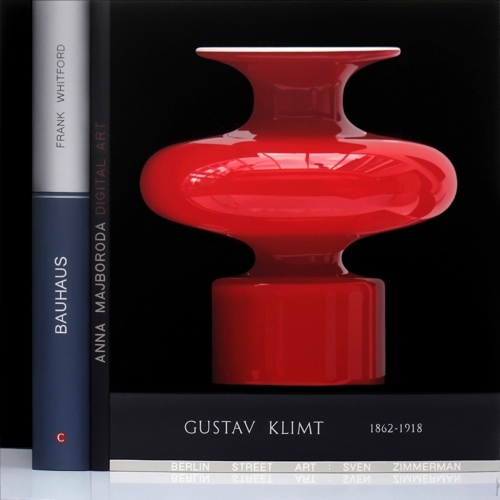 But what do all Pedro Campos’s works unite? Did you ever ask yourself? 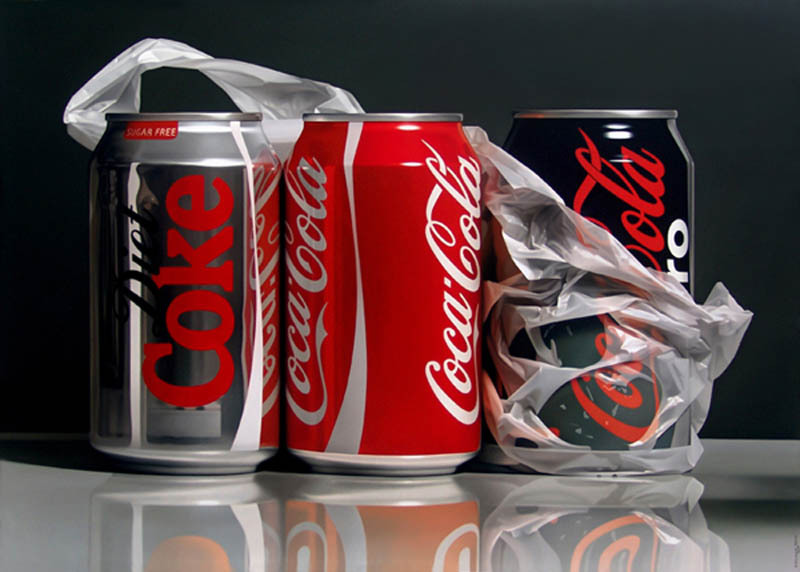 Everybody could notice that there are some repeated characteristics in Hyperrealism, not because it’s a trick (even if somebody tries to exploit it to be considered “hyperrealist painter”) but because those peculiarities give Hyperrealism effect more easily. One of these common characteristics are glossy and reflective surfaces. I don’t mean only tables, bath tub, shop windows or tiles, but also cans, glasses, bottles, vases, plastics and so on. For the painter, these subjects are maybe more simplifying, because an acute eye could distinguish and paint those strong colors easily, but for a simple observer eye they extremely impact. 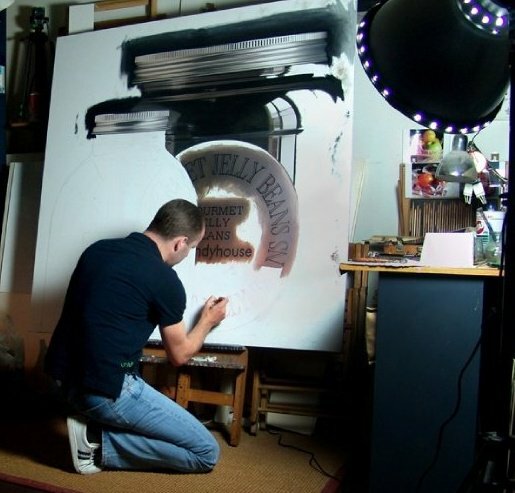 That’s why an easy painting made by an inexperienced artist has a strong impact anyhow. 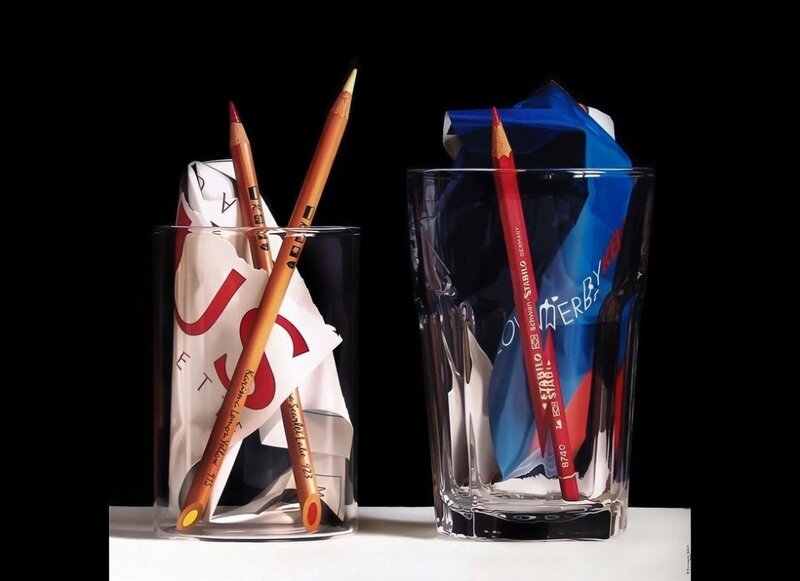 The risk is to be considered as Hyperrealist just for these “tricks” and to have a lot of failure in any different subject. But when you are Pedro Campos, you don’t have to worry about that.